Weddings are always beautiful because they are full of love and culture. Jewish weddings have great traditions that are so meaningful. They call their marriage contract “ketubah”. In it are the husband’s duties to his wife and is often printed in a lighted and framed manuscript to be displayed in the newlywed’s home. Many Jewish couples make their ketubah a work of art by having it in a beautifully crafted material. The wedding canopy or chuppah, a covering with four poles, symbolizes the couple’s new home. The ceremony is usually held outdoors, as a symbol of God’s blessing. There are many ways to decorate your chuppah and you have a choice to have it stand-alone or be held by your most trusted people. Wearing white during the wedding signifies purity and a new beginning. A white robe and a white wedding gown are worn by the groom and bride respectively for this purpose. The bride will also be veiled during the ceremony, thus, the bridal veil is an important aspect of the Jewish wedding. Find kittel and bridal veils that suit you and your partner’s personality. The rings in Jewish weddings must be made of solid gold, silver or platinum without any hole or stones. 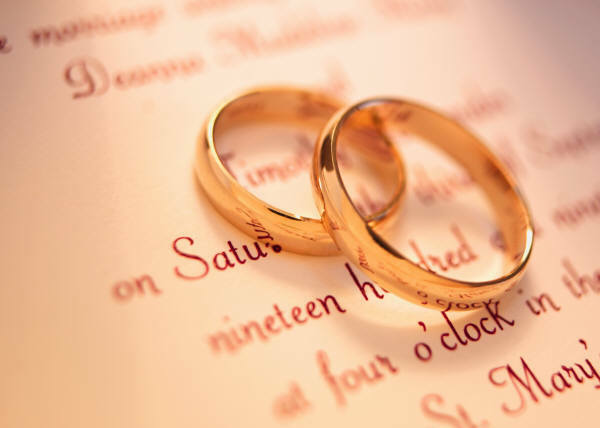 The continuity of the Jewish wedding rings means having the faith of an everlasting married life. Remember that traditions don’t limit your wedding options instead they make your most special day even more memorable. Ask your wedding planner how you can incorporate the traditions in your wedding with your own personal touch.